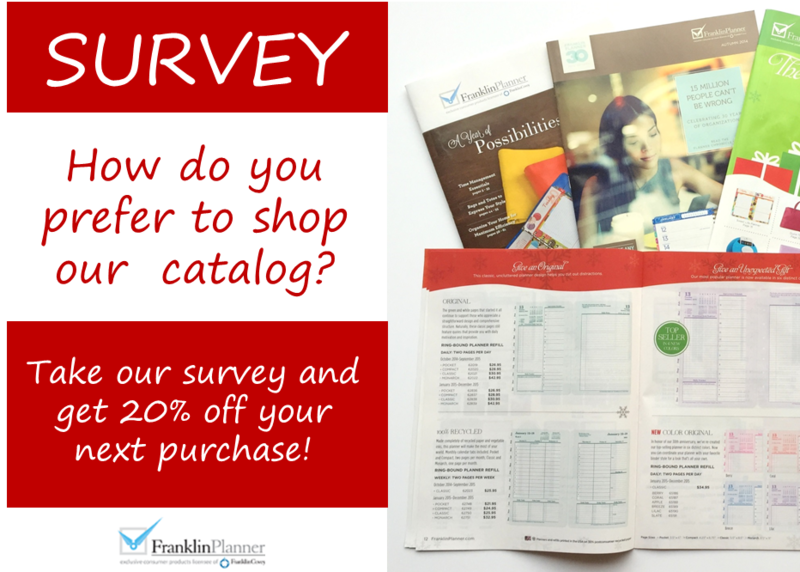 Survey: How do you prefer to shop our catalog? As we develop our 2015 catalog program, we need your insights and opinions. Please complete this survey by December 31, 2014 to help us create catalogs that are ideal shopping tools for you. At completion, we have a special “thank you” gift for your time. Though I do all my purchasing through the website, I still love receiving the catalogs in the mail. In fact, I look forward to them as they are as close as I can get to see more of the merchandise available. Also, I like to keep some of them as reference as finding names for older binder models are very hard.